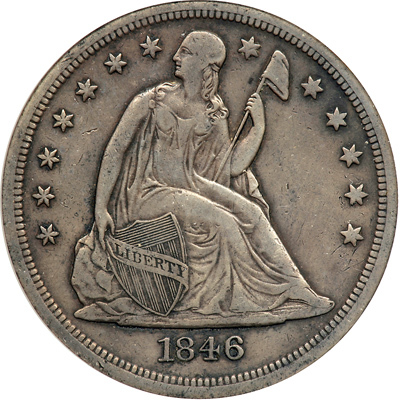 The New Orleans Mint opened its doors as a coinage facility in 1838. The impressive building, which is still standing near the city's French Quarter, was designed by William Strickland. 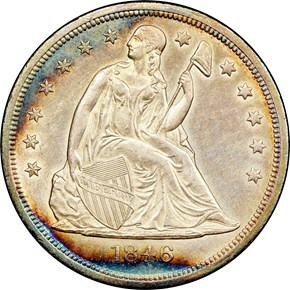 The cornerstone was laid in September 1835, and the first coins, Seated Half Dimes and Dimes, rolled off the presses in 1838. 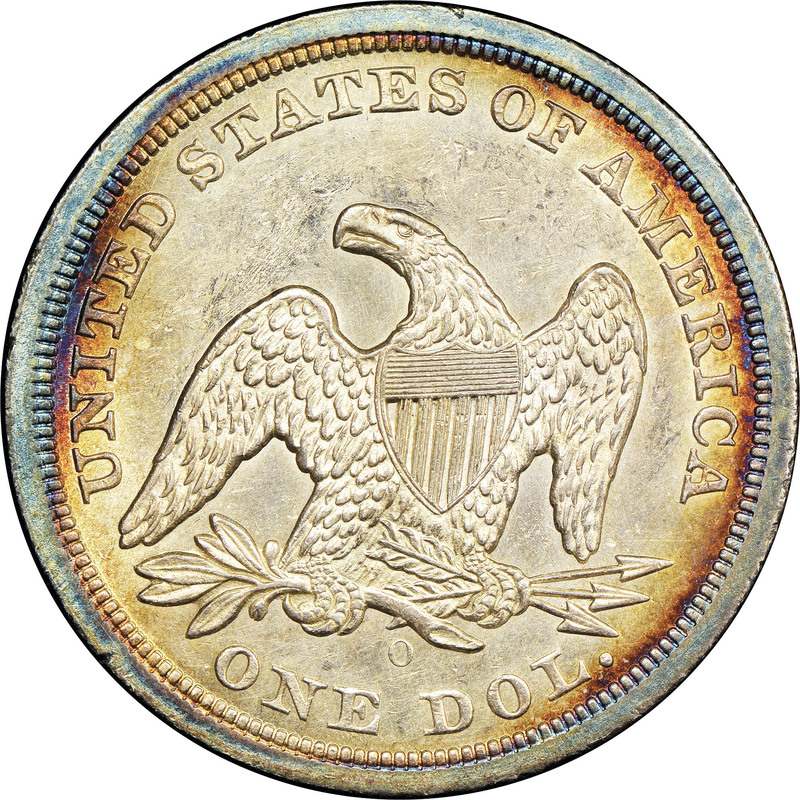 The Mint's initial delivery of business strike Reeded Edge Half Dollar followed in 1839, and the first Seated Quarters emerged from the presses in 1840. 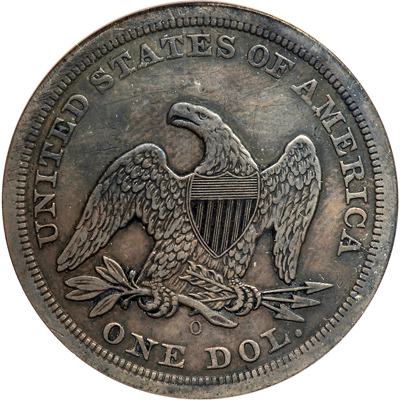 Production of Silver Dollars in the Crescent City, however, would have to wait until 1846, when the New Orleans Mint delivered 59,000 coins. 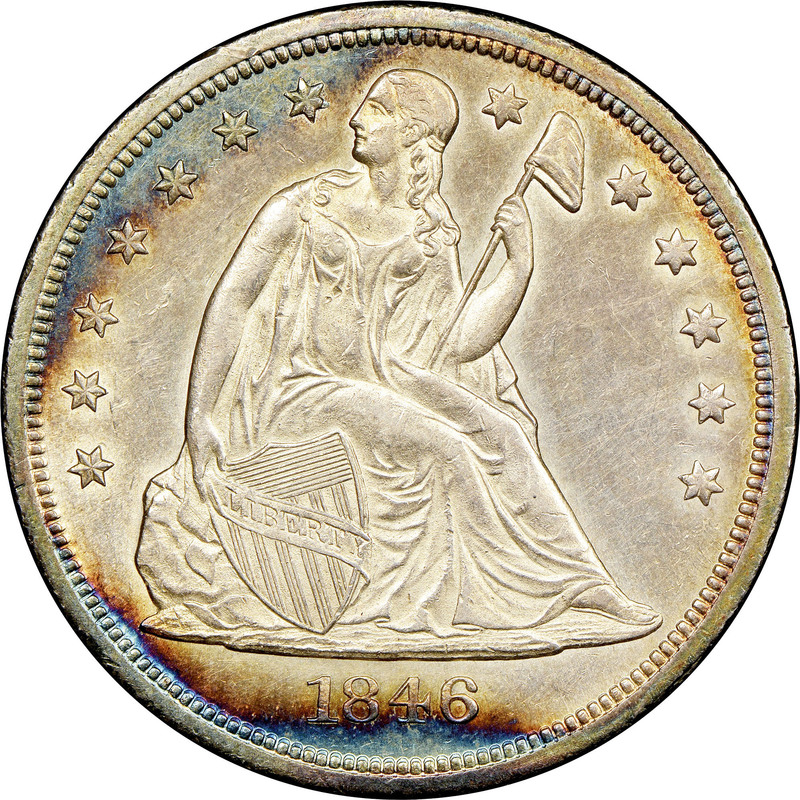 Some numismatists believe that the P-mint Silver Dollars of the 1840s may have been widely exported. Regardless of whether or not this is true, it seems likely that the '46-O delivery was intended for domestic circulation throughout the South. New Orleans was the principal port on the Mississippi River at the time, and many examples were also distributed to other parts of the country via that waterway and its tributaries. The relative availability of 1846-O Seated Dollars in grades below XF suggest, first, that most coins remained within the United States, and, second, that this issue saw widespread circulation. Locating an attractive, problem-free XF or AU representative is challenging, and desirable Mint State specimens are virtually unknown.